Should you Adopt A Pug? Absolutely! (Of course we are slightly biased!) Is there any small dog breed more irresistible than a Pug? We don’t think so. So, by all means, you should adopt one of these cute little dogs! Having said that, there are right ways and wrong ways to go about it. Actually, let’s not say “wrong” because we’ll be speaking in generalities here and there are exceptions to everything. Of course the puppies for sale sign is rather enticing. Even better, in our opinion, is the Pug puppies for sale sign. But you should really step back and do a little research in acquiring a Pug. There definitely needs to be a little more education before you actually go out and adopt a pug. Many people think getting their little guy at a pet store would be the safest way to go. For many reasons this is not the case. Dog breeders are probably the most popular way to acquire this breed but there are things you should look at here as well. 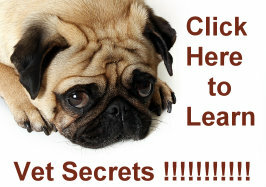 We’ll cover these in the sections below as well as provide a research section that will contain some key questions you can ask any breeder – not just a pug breeder. Is your local pet shop a good place to buy your Pug? The answer may surprise you! Pug Breeders Are Not Created Equal! Find out about the differences. This website will help you learn about this adorable little dog. Before you're ready to acquire your little treasure you should take the time to familiarize yourself with the traits of the cutest member of the Toy Breed. Before you Adopt A Pug, explore the World of Pugs. We'll give you information on what makes these little guys so desirable and, in the spirit of full disclosure, we'll let you know some of the negatives about owning this breed. Adopting a Pug will bring a true friend into your home and life. If you have never been met at the door by an excited Pug who is just happy to see you, you're missing one of the great demonstrations of unconditional love that there is. Pugs were made to be companions. If you are searching for that in your life you will find it with one of these adorable little creatures. They will follow you around that you were the only person on earth. Keep in mind that they are a bit of investment. A pure bred Pug is not cheap and they are a significant commitment. With a life expectancy of twelve to fifteen years you should not make the decision lightly. 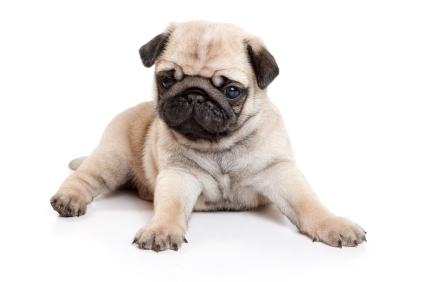 If this adorable breed is out of your price range, it is possible to adopt a Pug for free (or almost). You'll need to be persistent and patient but you can create some contacts that will bring a Pug into your life for a substantially reduced cost. We wish you and your Pug nothing but happiness! For some excellent information on bringing a dog into your house please check out this Free Course on Dog Adoption!